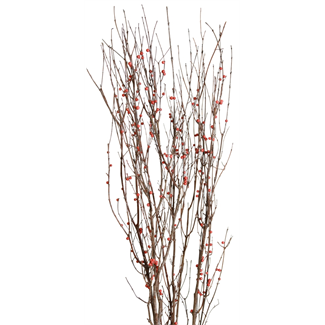 Festive berried branches are a great upgrade to Christmas urns and arrangements. Also a basic accent for interior décor - place straight in vase, cut for centrepieces, or simply spread across the mantelpiece. 48 inch/120 cm tall.